Nate had pulled that move of taking Max onto his lap for the benefit of Bethany and her cameraman, but he wouldn’t lie: she felt good there. Like she belonged there. Everything, from the cute, tense way she wriggled at first, to the way she settled into him, had turned him on a hundredfold. If Gus had taken any longer with those shots, Max would have felt much more than Nate’s arm pressing against her. He wiped one palm over his brow as he pulled into their driveway. Autumn had fallen asleep on the way home, and he glanced into the rearview mirror and smiled. “Look,” he mouthed. 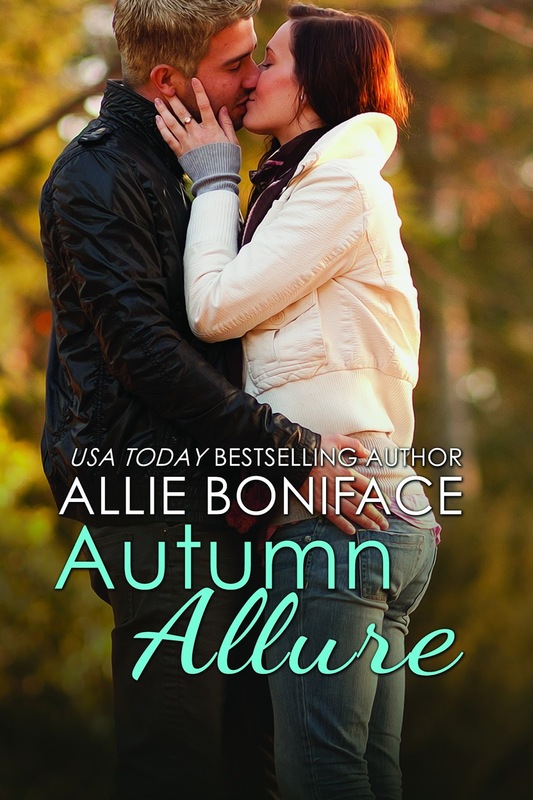 He nodded and took pains to unbuckle Autumn and put her over his shoulder without waking her. Her tiny body fit perfectly there, her cheek warm against his neck and one arm clutching his even in sleep. A rush of love moved through him, overwhelming and sudden. He’d proclaimed love a half dozen times in his life, but he’d never meant it. Not truly. Not down deep. He knew that now, and it scared the hell out of him. How could forty pounds of little girl make him feel like no one else in his life ever had? Max held the door and followed them in, and his thoughts shifted. She was part of this, part of the way his life was changing in subtle but sure ways, and he didn’t know what it meant except that he wanted her. Badly. Her scent, her smile, the way she made everything into a series of lists to be checked off—it followed him through his days. Sometimes it kept him awake at night, thinking of her in the room above him and wondering what she wore to bed, how she slept. “Yes.” Home. He liked the way it sounded in her voice. He helped her out of her shirt and shoes and let her peel off her skirt by herself. Forget the bath. She could take one tomorrow. She climbed under the covers. “Where’s Teddy?” she asked with a yawn. She was already breathing in soft snores. Good thing. He nestled the stuffed animal beside her under the covers and backed out the door. “She’s still out?” Max said. She stood in the doorway between kitchen and living, holding a bottle of beer in each hand. “Yeah.” He reached for both bottles and set them aside. But he didn’t let her finish. Instead, Nate slipped one arm around Max’s waist and pulled her into him. Ran one thumb over her bottom lip. Took a last quick moment to lose himself in those smart, soulful eyes. Then he bent and kissed her the way he should have the first night at the Elks Club. The way he’d wanted to earlier at the ice cream stand. The way she was meant to be kissed, up against the wall with his hands in her hair, until he left them both breathless. 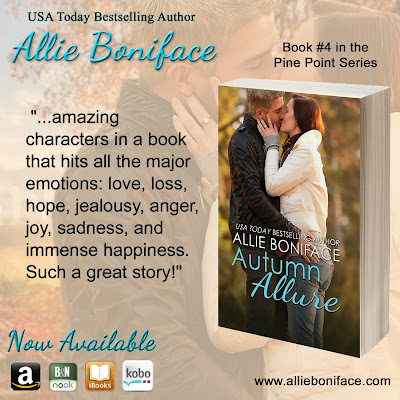 Allie Boniface is the USA Today best-selling author of over a dozen novels, including the Cocktail Cruise, Hometown Heroes, and Pine Point series. Her books are most often set in small towns and feature emotional, thought-provoking, sensual romance with relatable characters you'll know and love. 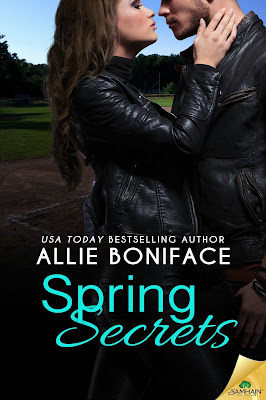 Take some time to browse around Allie's website, check out new and upcoming releases, and sign up for Allie's newsletter. You'll get all the news about releases before everyone else, along with the chance to review books before the general public. 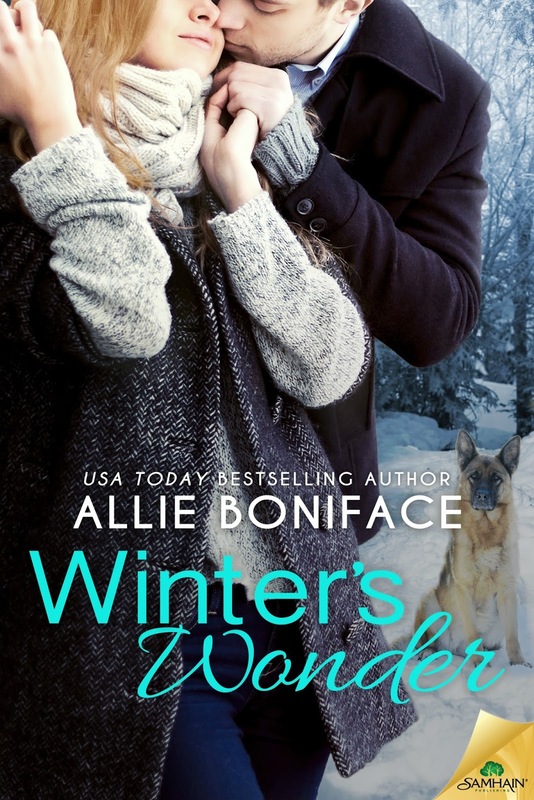 If you're interested, you can join Allie's All-Stars as well, an exclusive readers' group on Facebook where fans and friends chat with Allie about life, characters and story ideas, as well as win gift cards each and every week!